We sit and watch seals all around us, their heads popping up and down through smooth waters as we gently glide across the Kylerhea narrows, heading towards the Isle of Skye on the Glenelg Ferry. The weather is incredibly sunny, warm and still. The journey to the ferry so far had been an experience in itself, driving on one the highest and most dramatic roads I have been on. As we approach Glenelg it feels like we have already had a roadtrip and decide to take a quick break before heading to our original destination. After a fabulous lunch of mushroom soup and the best homemade bread ever at the Glenelg Inn, we carry on towards the ferry. If you decide to catch this ferry, expect every moment to be an experience – from watching it come in and turn round to watching the ferry dog help pull the ropes and maybe decide to stop a while on the other side. The ferry dog even has his own facebook page! I first heard about this ferry whilst reading my grandma’s albums of her travels through the islands many years ago. She wrote that she visited the Glenelg Brochs and then took a ferry over to Skye, so small there were only a few cars on it. So I looked it up and decided to detour round this way rather than take the usual Skye bridge route. 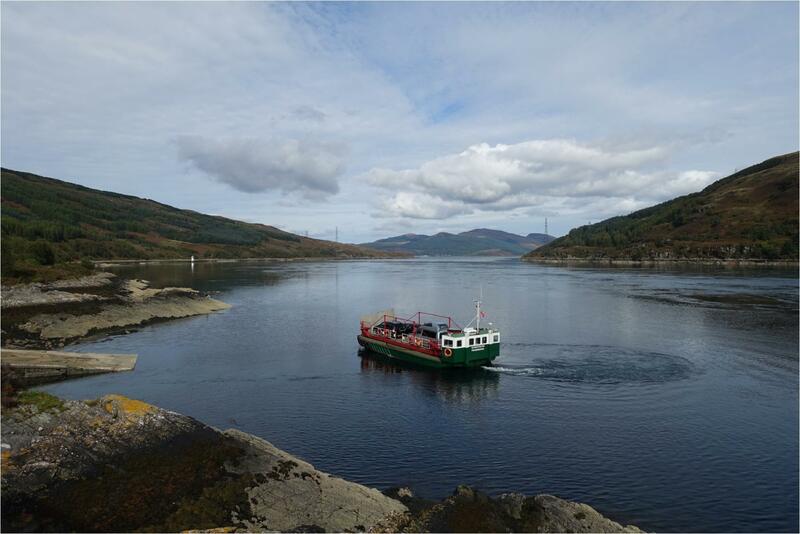 It was such a lovely experience that I thought I would share our day with you and recommended catching this ferry on your way over to the Isle of Skye. We loved our little detour and hope it inspires you to do the same. To get to the ferry on the mainland, turn left on the main A87 after Sheil Bridge if coming from Inverness direction, towards Glenelg. Keep going, along the incredible route over the Mam Ratagan Pass till you reach Glenelg. 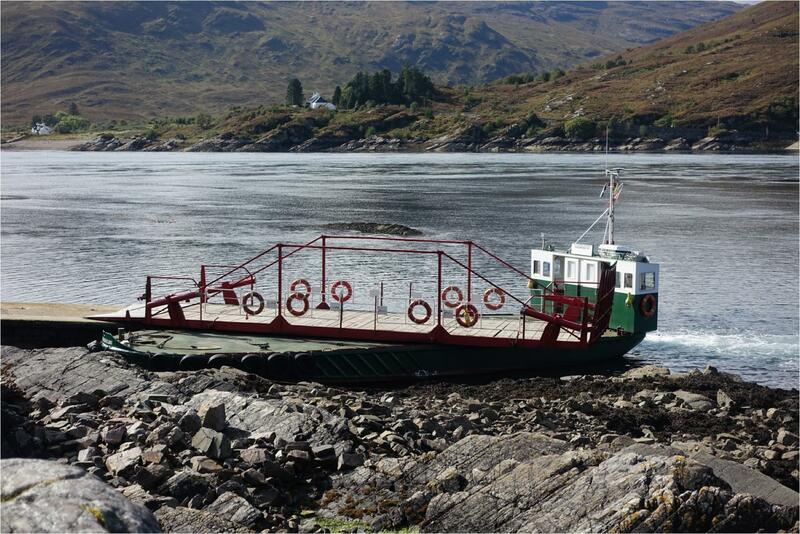 The ferry can transport up to six cars plus standing-room only for foot passengers.